Have you ever thought about time travel? Ever since the film, “Back to the future,” I have dreamed of going back in time and being a fly on the wall. If I had the chance I would love to be in the boat when Peter walked on the water, or in the crowd when Jesus raised Lazarus from the dead. But perhaps most of all I’d like to travel back to the community of Acts 2. What an amazing time of history – the start of the early church, when things were multiplying at an incredible rate and community life was rich, deep and very meaningful. Ever experienced community like that? The challenge came to the early church when Ananias and Sapphira decided they wanted to look good in the community and gave money to the apostles to use but lied about the amount they had given. No longer were there pure motives of sacrifice, generosity and love for one another. Something ugly had emerged and it had the potential of polluting this fresh expression of community. What we often call community is actually a working group. This is where a bunch of individuals come together on the basis of a task to be performed. There are no expectations of closeness of relationships (from the leaders anyway). People join to fulfill the vision that has been shared and the whole purpose is to see the goal accomplished. Communication is generally about the task that you are involved with and there can be very good working relationships established. It’s only when you have left the group, that you realise the relationships you had experienced were “working relationships”, because you have no further communication happening. Conflicts between people do happen in this setting, but the focus is on task and so individuals generally live with them or if they feel too hurt, they leave. What does a real community look and feel like? A real community is: a safe place, with a positive atmosphere, where the presence of God dwells, with an opportunity for depth of relationship, where you can make mistakes, share your opinions freely, be totally honest with each other, relax, have fun, forgive, support, encourage and affirm one another, have conflicts but work them through in a healthy process, receive vision and have ownership of it as a group… and on and on the list could go. 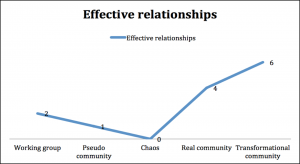 When friction occurs in community, there are two theories. 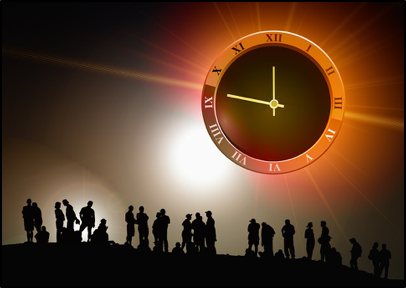 The first theory believes that, “time heals and so you do nothing.” The second theory believes that any outstanding issue needs to be followed through until reconciliation takes place. Ephesians 4:26 commands us to: “not let the sun go down on your wrath.” Galatians 6:1 encourages “Brothers and sisters, if someone is caught in a sin, you who live by the Spirit should restore that person gently.” Matthew 5:23 instructs us that “If you enter your place of worship and, about to make an offering, you suddenly remember a grudge a friend has against you, abandon your offering, leave immediately, go to this friend and make things right.” So although it seems very clear what we are to do, we often fall into the “do nothing” approach. Pseudo community! Scott Peck shone a spotlight on the difference between participating in genuine community and experiencing what he called “pseudo community”. He said, “If community involves serving, being, celebrating, forgiving, then most relationships are constantly devolving into pseudo community.” In Pseudo community we tolerate too much. We make excuses why we don’t follow the biblical commands. We find ourselves not quite telling the truth, not quite trusting, not so thoughtful towards each other that we know we could be. We do figure of eights around delicate issues, we accommodate each other, we make sure we don’t upset the applecart or make waves and settle for calm and harmony. Survey’s have shown that up to 1 in 3 feel they are settling for pseudo community! The real issue here is that we are calling something community but not functioning with relationships as a high goal and therefore living something else. People have joined the community with certain expectations of closeness, and living out the one another’s of scripture and when they don’t happen, there is a growing dissatisfaction and frustration that things aren’t going as they could do. What is needed is a dose of humility and vulnerability and a reality call that says, “This is where we are at. This is where we want to go. Let’s move towards it.” In this way we are able to live in integrity, knowing we are not perfect, have not arrived, but are moving towards a vision of unity and community. The tunnel of chaos. Between pseudo and genuine community lies a tunnel of chaos. Someone has blown the whistle and said, ‘as far as I can tell, we’re not experiencing real community’. Things have now got messy, awkward, sometimes scary and difficult to deal with. Now that the truth is out, we have to do something about it. Having aired the situation, at first it feels worse. The truth is sometimes hard to handle. Salvador Dali has a painting called “Civil war”, where a body is fighting itself. It is very ugly and even grotesque. It hardly looks like a body at all. The various parts of the body aren’t responding to one another and functioning together but in conflict together. It’s possible for our relationships, in a similar way, to get pulled out of shape and to become dysfunctional. The way through this messy time is to come back to the vision of genuine community and recognise how far the community has drifted away from the biblical picture of unity. Time is required, but all it needs is for someone take the risk of confessing their failings, their short comings and their sorrow over what has taken place. Others often will then follow. Things begin to be put right in relationships. Repentance starts to flow, apologies are given and there is a movement towards forgiving and affirming one another. The road to genuine community has begun. I am reminded of the first community my wife and I began soon after we were married. I spoke about it some months back in a previous letter on pioneering. We had an incredible mix of people, many of us dysfunctional and working all kinds of issues through. However, there were real relationships emerging and God was touching our lives. Amidst all the difficulties we had to face, we had the joy of having a taste of real community. Transforming community. The real goal is to become a people who together have an influence. As Jesus said in John 13, “This is how everyone will recognize that you are my disciples—when they see the love you have for each other.” This kind of community sees each member growing in relationship and finding room for their gifts to function effectively. The community has an impact. Synergy is taking place. People are enjoying life. They have conflicts but walk them through. They live in reality and bring an encouragement and accountability for everyone to continue to develop. So how is your community? Where are you on the graph? Pray and ask the Lord what you are to do, to see a move towards being more of a transforming community.